The writer, a regular contributor, covered politics for The Macomb Daily nearly 30 years. He blogs at Politically Speaking. As Warren Mayor Jim Fouts prepares to run again in 2019, a new recording has surfaced that appears to disclose Fouts referring to homosexuals as “fags” and complaining that media efforts to reveal his true age were like being raped. The voice on the recording obtained by Deadline Detroit matches the 76-year-old mayor’s distinctive voice, as did past audio tapes that surfaced which also revealed offensive Fouts slurs and rants. According to a former city employee, the newly released recording was made secretly in the mayor’s office. “[This] is personal to me, just like being a ‘fag’ is personal to somebody, being fat is personal to somebody, being a, uh, a dimwit is personal to somebody. That is personal to me. It is very – it’s like I’ve been raped, like I’ve been accosted. Then the goddamn Warren Weekly …” At that point, the recorded segment abruptly ends. (Listen to actual recording below). Attempts by Deadline Detroit to get a comment from the mayor were unsuccessful. Calls were placed to Richard Sabaugh, a top Fouts aide, who often handles inquiries from the press. Emails to the mayor’s office also went unanswered. Fouts denied it was his voice on the tape after this report was published. Fouts has repeatedly denied that other apparent recordings of him making crude comments were legitimate, claiming that tapes leaked to the media in 2016 and 2017 were doctored or that they consisted of someone trying to imitate his voice. But a voice recognition expert last year concluded that the audio files were not edited and that the recorded voice matched the mayor’s voice. The newest recording harkens back to when the third-term mayor in 2011 claimed that he was 67 years old at the time while some documentation showed that he was 69. He tried to fend off numerous media questions, including those from the Warren Weekly newspaper, about his stubbornness over a 2-year difference. Fouts eventually said that his preference for dating much younger women was damaged by the age dispute. When a lawsuit was filed by political activists to keep him off the 2011 election ballot for failing to include his correct age on his re-election paperwork, Fouts dug in. 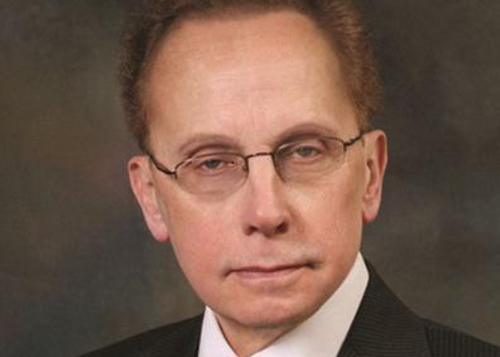 At one point, Fouts reportedly threw a chair in anger at the city clerk’s office when he didn’t get the answers he was looking for to make the issue go away. He went so far as to stop driving, declining to renew his driver license for several months after the secretary of state’s office declared insufficient proof that he was 67. At one point, WDIV-TV reported that a news crew saw Fouts driving while his license was expired. All of the recordings released in the past 24 months were made over the course of several years as Fouts, a former Warren high school civics teacher, was secretly taped numerous times in City Hall by alarmed staffers, as he was lashing out at his political enemies, blacks, women and handicapped children. Two years ago, a citywide outrcry over the tapes led to a citizen petition drive calling for his resignation and a separate, initial effort seeking to recall him from office. But in January 2017, the Warren City Council, consisting of a majority of Fouts allies, killed a proposal to force the mayor to submit to a comprehensive voice recognition test or resign. The grassroots attempts to oust Fouts eventually faded. First elected mayor in 2007 after serving 26 years on the city council, Fouts helped orchestrate a 2016 ballot proposal that would make him eligible for another eight years of office, rather than facing term limits in 2019. City voters approved the plan by a narrow margin. So the confrontational mayor is expected to be preparing for a re-election run in November. No candidate has stepped forward yet to oppose him. But Fouts has a confidence advantage that comes from winning his last two mayoral elections by unprecedented, landslide proportions. Sabaugh, the city’s public services director and a longtime political consultant, said the tapes have not made a difference.